We can engrave up to 3 characters on the back and front. 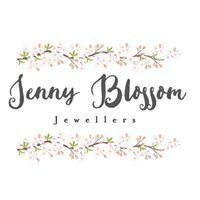 All our jewellery comes beautifully packaged in a free Jenny Blossom gift box tied with a pink gift bag and we can add a gift card for your special message. Chain and disc charm are both made from 925 sterling silver. Own Children's engravable silver heart necklace? Why not be the first to leave a review.